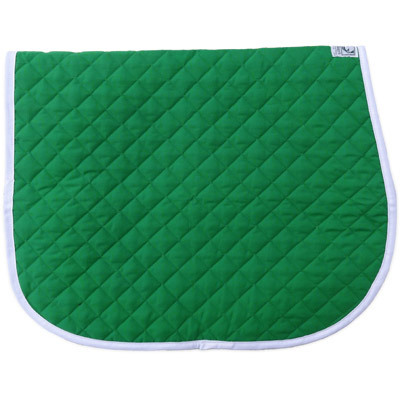 Perfect for showing your holiday spirit for not a lot of dough, this vibrant kelly green baby pad features solid white trim - Lucky Irish colors for St Patrick's day. This great holiday pad is perfect for riding in March, but suitable for year round use. These thin, diamond quilt pads are for use underneath well fit saddles or as a barrier between hard-to-clean fleece half-pads and your horse's back. Wilker's baby pads are easy to wash and help present a neat, fun appearance. 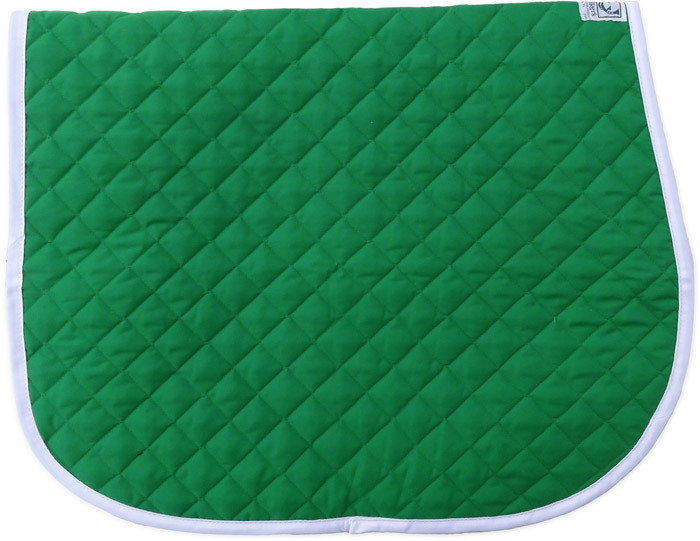 These baby pads are designed for use with horses and require no folding or tucking. Our pads are produced in industry standard sizes (i.e. are designed to fit the vast majority of saddles). Specific measurements are provided below. All measurements are given in inches. Review Text: i love these pads, we have many colors, looks great to fit in at a pony party, colors are vibrant and quality is very very good. Ponies look great in them too.